Roger Waters brought his “Us and Them” tour to St. Louis this past Tuesday (5/30/2017) and boy, what a treat for the city and fans. My photography pass allowed me access to hear seven songs and photograph Mr. Waters for three of them. From what I saw and heard while I was there, it was destined to be an amazing show. The LED screens behind the stage were quite enormous and in true Waters style, colorful and mesmerizing. Every song has its own mystical visual experience as an accompaniment and the tried and true fans, as well as some younger ones, were astounded and captured from the first note. Within the few songs I was fortunate enough to be present for, I heard classics such as “Welcome to The Machine” “Time” and “Home”. 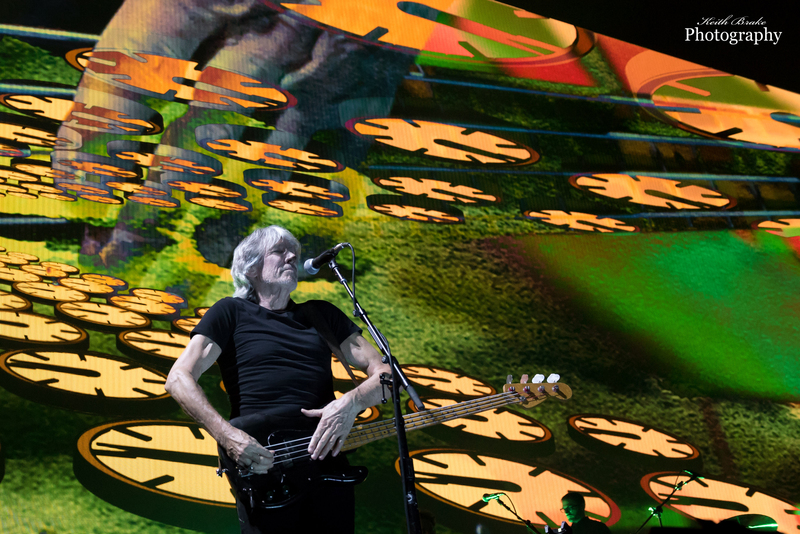 As most are aware, Roger no longer tours with Pink Floyd but that does not mean it isn’t magical. The musicians that Mr. Waters has with him for this tour are nothing short of amazing and never once in the time I was there did I feel let down. This abbreviated experience left me with a healthy appetite for more and as I exited the photo pit I pondered why I had not purchased one of the few remaining tickets for the show. As it turns out I saw about twenty five percent of the show as Roger ended up playing two sets, with no supporting act, for a total of twenty four songs. 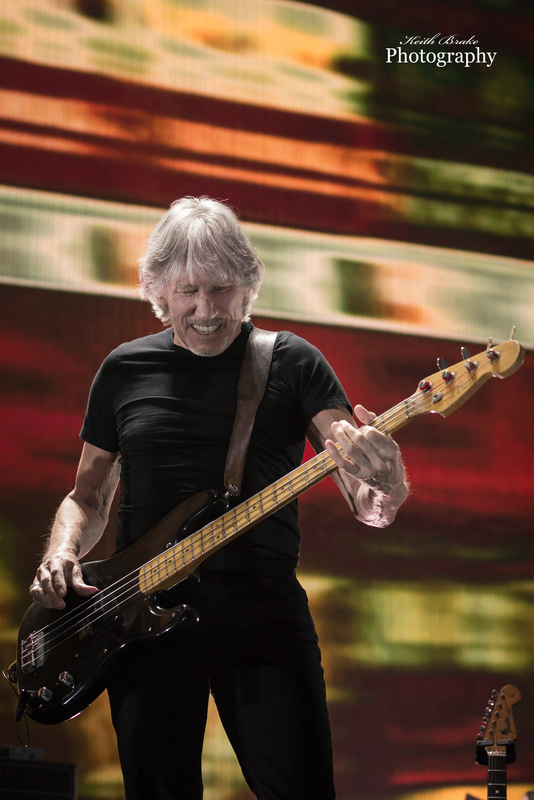 For information concerning the “Us + Them” tour please visit https://rogerwaters.com/ St. Louis was an early stop and the tour runs thru October, so if you like Roger Waters or Pink Floyd perhaps a road trip is in order. Amazing shots Keith! Sounds like it was an awesome time. Keep up the good work. Thanks Amy, thanks for supporting Midwest Rewind!! Greatly appreciated!! Great shots and pretty cool that he played 24 songs. Thanks for the kind words and for supporting Midwest Rewind! !